If you’re looking forward to opportunities which guarantee high profit then real estate investments should be your choice. In order to achieve success as real estate investor, one needs to have detail and accurate knowledge about this process. Like we said above, real estate investment process demands detailed knowledge but the fore-most and obvious knowledge one needs to have is about the project he/she is investing in. Unlike developed countries, investors in Pakistan have very less real-estate investments opportunities. Most of the time the opportunities blur out behind scams and illegal projects. The luxurious standard of living doesn’t only attract the lavishly living seekers but it’s the greatest investing opportunity for the real-estate investors. Peace, serenity and luxury have gathered together at one place. Because of its high demand and worthy hype made Bahria Town the magnet attracting real-estate investors. The aforementioned policy of having a detailed knowledge of the project you’re investing in remains persistent. One should not opt for a project just because its talk of the town. Especially if you’re living in Karachi one needs to be extra aware of investing big. Before taking you to the final option that serves reliability in its mega project, here’s your journey to perfect infrastructure and atmosphere.Another amazing project by Bahria Town is the Gwadar Golf City where the Atmosphere is quite different from other . The serenity and tranquility aren’t the only things that can be felt in Bahria Paradise Karachi. The location of Bahria Paradise Karachi is the bonus point. Located in the vicinity of Grand Jamia Masjid residing in Bahria Town Karachi, Bahria Paradise Karachi is a pleasure to the eyes. The best place to establish perfect lifestyle is existing in Bahria Town Karachi. Located in the heart of Bahria Town, Bahria Sports City Karachi is made to revolutionize sports experience for athletes and people that have a passion for sports. There’s so much more to know about the huge project that is under construction in Karachi. 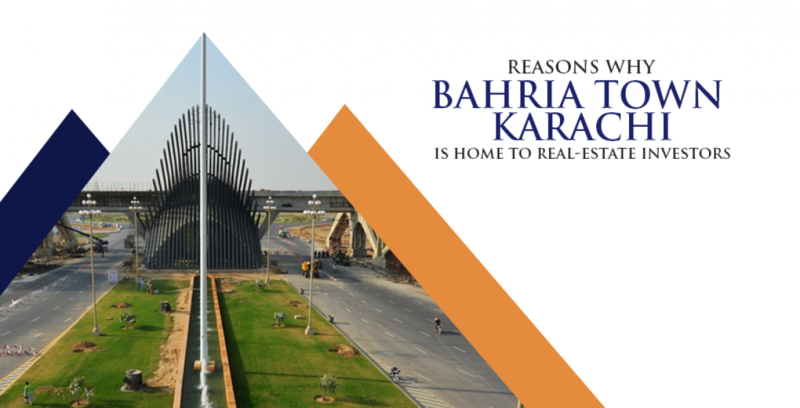 If you’re genuinely interested in real-estate investments then one visit at Bahria Town Karachi will enlighten you beyond expectations. If you’re new to real estate investments then this is your stop to reliable, authorized and professional dealers in the real estate market. Haroon; the real estate consultants and builders are the officially authorized dealers of Bahria Town Karachi. From buying a property to selling it, the professional staff will guide and serve you throughout the process. So, you no longer have to stress yourself in searching for the reliable property dealers and consultants.